The Future of Biotechnology in the EU – Is there Light at the End of the Tunnel? Prof. Dr. Justus Wesseler holds the chair in Agricultural Economics and Rural Policy at Wageningen University, The Netherlands. He has a degree in agricultural, environmental and natural resource economics from the University of Göttingen, Germany. His research work is on the economics of biotechnology, value chain economics, and regulatory economics including issues related to coexistence. The major focus is on the contribution of value chains to improve sustainability and the impact of new technologies and regulations on the value chain in this respect. 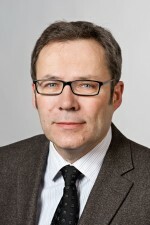 He was Professor of Agricultural and Food Economics and head of the Research Department of Agricultural Economics at the Center of Life and Food Sciences Weihenstephan 2011 to 2013, is member of the International Consortium of Applied Bioeconomy Research (ICABR), co-editor of AgBioForum, and coordinator of the EU funded project Practical Implementation of Coexistence in Europe (PRICE). His research work on the economics of the bioeconomy has been published in more than 100 contributions to peer reviewed journals and books.